What can you do with the EUniTa platform? Text your tandem partner, share learning content with internal or external links. 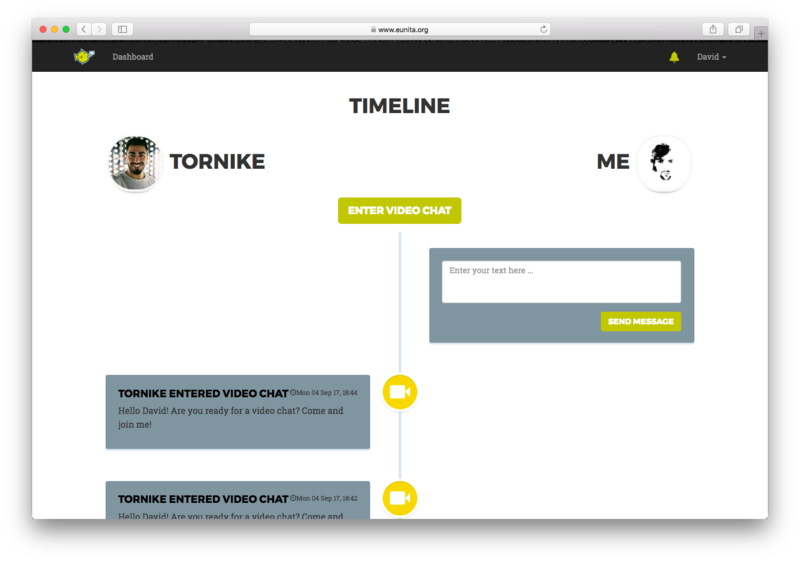 Call your tandem partner using audio only or via video chat. Access all EUniTa features on one page with a user-centered Dashboard. 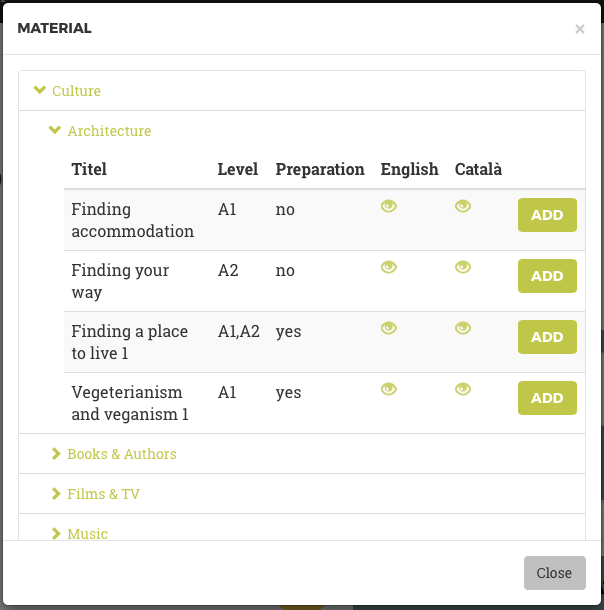 Choose from a comprehensive library of materials to get inspiration for tandem activities and topics to discuss. If you need any help, you can get it from a team of learning professionals. Have you successfully completed your tandem? Get a certificate of your tandem achievements. Take part in an interactive online test in order to determine your language level. The test is based on the can-do-statements of the Common European Framework of Reference for Languages (CEFR). Tandem participants are invited to take the test at the start of the tandem phase to determine their language level. They also have the option to go back to the test throughout their tandem phase as well as the end of the tandem to map their progress. The link will redirect you to the EUniTa Self-Assessment Test on LernBar. 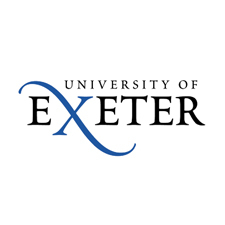 The EUniTa Tandem Platform and the EUniTa Tandem Learning material were developed as part of the European Union Erasmus+ Programme "European University Tandem" between October 2015 and March 2018. 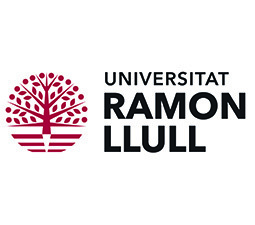 The original project partners are Universitat Blaquerna Ramon Llull Barcelona, University of Exeter, Università degli Studi Firenze, Goethe-Universität Frankfurt, University of Liverpool, Université de Poitiers, and Université Paris Sorbonne. The EUniTa Team is mostly recruited from the language centres of the partner universities and comprises of a vast know-how in foreign language and tandem learning in the EUniTa languages. EUniTa is funded by the European Union as part of the Erasmus+ Strategic Partnership Programme, developed between 10/2015 and 03/2018. 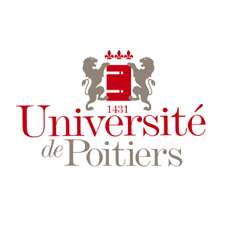 Register by using an e-mail address of one of the EUniTa Partner Universities. You will then receive an email with a confirmation link in order to activate your EUniTa User Account. As soon as you have activated your account, you can log in. 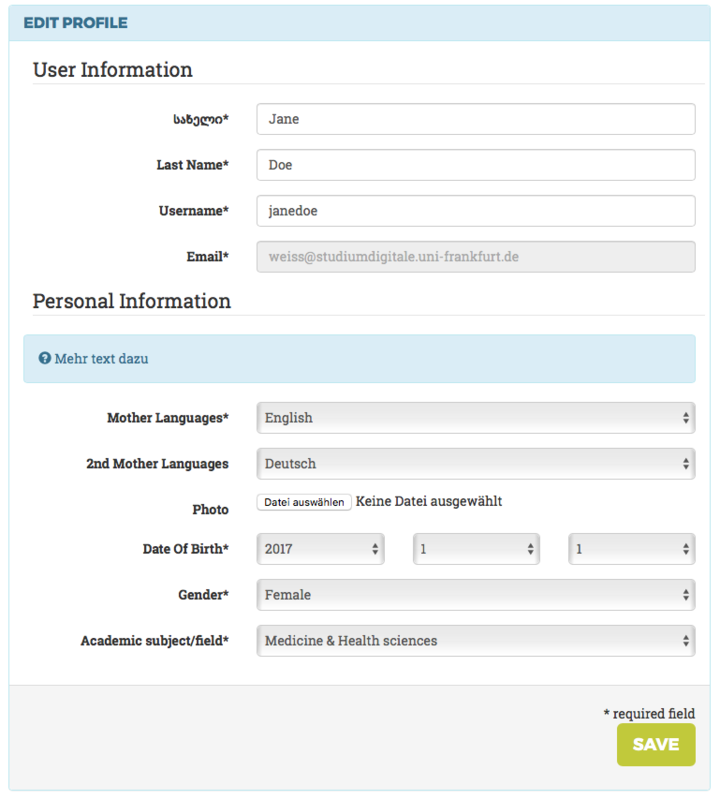 Complete your profile by providing your native language(s), a picture, your date of birth, and your academic background. Each of these details helps us to find a matching tandem partner for you. Start a Tandem Search by selecting the target language, your current language level, and the amount of time you are able to invest. If you wish, you can choose a variety of topics you would like to discuss. If you are looking for someone to help you improve your language skills in a specific academic context, select "CALP"-Tandem. We will then try and find a match with your academic background. Important: A CALP Match can take considerably longer. Additionally, you can start a second, standard Tandem Search to enhance your chances for a tandem match. If you looking for a tandem in your geographic vicinity (at your university), in order to be able to meet your Tandem Partner in person, select "Face-to-Face"" Tandem. The EUniTa Dashboard provides you with all important information at one glance. You have started a Tandem Search, but no match yet? In this case there will be a yellow widget for each Search, showing the search parameters and the option to cancel this search request. Your Tandem Search was successful? In this case there will be a blue widget for each running tandem, showing tandem parameters and the option to connect with your tandem partner (via text, audio or video). Further, there is a widget to check your system requirements for the EUniTa Video Tool. Also, you can use the Support Widget to contact the EUniTa Support Team. Text your tandem partner, share learning content via internal (library) or external links. All conversations and links will be pinned to the EUniTa Timeline. 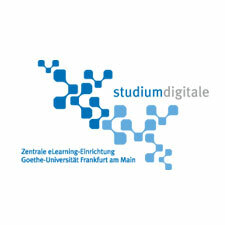 In the following, Johann-Wolfgang-Goethe Universität Frankfurt (“GU”), Theodor-W.-Adorno-Platz 1, 60323 Frankfurt am Main, Germany informs you on the collection of Personal Data when using the Tandem-learning platform European University Tandem (“EUniTa”) available via the website https://www.eunita.org/ (“Site”). Personal Data are all data that are personally attributable to you, such as name, address, e-mail addresses and user behaviour. Service provider according to section 13 Tele Media Act (Telemediengesetz; TMG) and responsible according to section 3 paragraph 7 Federal Data Protection Act (Bundesdatenschutzgesetz; BDSG) is ohann-Wofgang-Goethe Universität Frankfurt (“GU”), Theodor-W.-Adorno-Platz 1, 60323 Frankfurt am Main, Germany; please also refer to imprint. E-mail: info@eunita.org. You have the right to request at any time that EUniTa/GU provides information about personal information attributable to you, i.e. stored data, as well as the origin of such data, recipients or categories of recipients to which the data is forwarded, and the purpose of storage. If your consent is required for the use of data and you have granted it, you may withdraw this consent at any time. All information requests, withdrawals or contradictions to the data processing shall be e-mailed to support@eunita.org or sent to the address provided above under 1. EUniTa/GU maintains current technical measures to guarantee for data security, in particular to protect your personal information against risks during data transfers, as well as knowledge acquisition by third parties. These technical measures will be adapted to the current state of the art from time to time. However, such adaptation may require that updates (e.g. new web browser) are installed by the user. language and version of the web browser software. If you wish to use the Tandem Section of the Site, you must register by placing your name and your email address when prompted to create an account ('account'). You will be prompted to confirm your registration in an e-mail to your e-mail account. 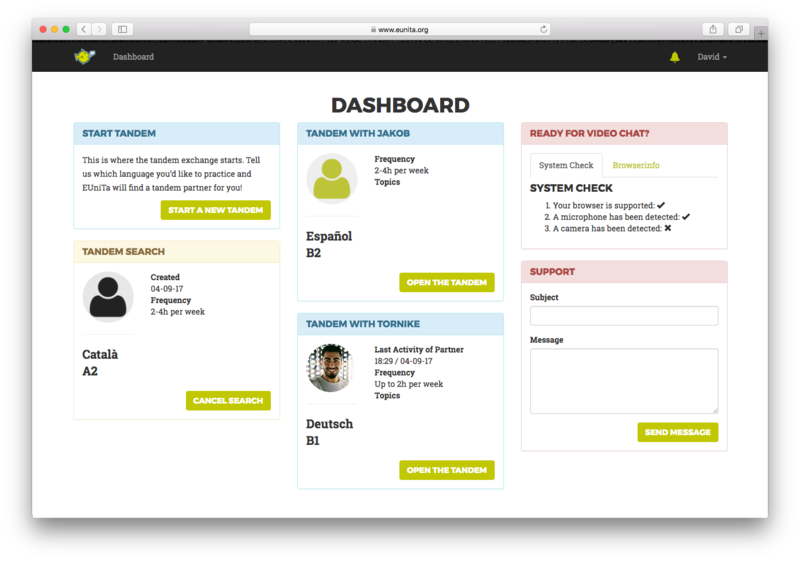 In order to start a tandem search, you will need to provide further data, e.g. mother language, date of birth, academic field etc. EUniTa/GU will not verify your name, but the name provided when registering will appear on language certificates. Your e-mail address will only be used to confirm your registration. In addition, we will also save your tandem progress, i.e. how much time is spent tandem learning, chat protocols and library use etc. 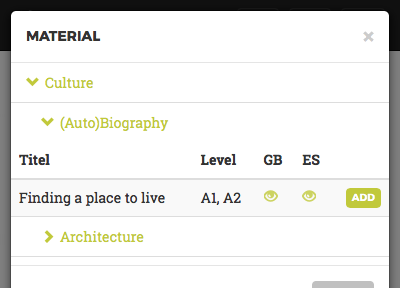 If you are logged-in to your account, the categories of data specified above under “Public Section” will be acquired and used for statistical purposes and to improve the Site and the Programme. However, we will not evaluate the data in a way attributable to you. Please note that, if you are a registered user and are logged into your account, the Site will not distinguish between your use of the Public Section and your use of the Tandem Section, i.e. that also data about your use of the Public Section is theoretically attributable to your account. In any event, we will not evaluate this data in a way attributable to you. If you do wish to browse the Public Section without your data being attributable to your account, please make sure to log-out before visiting the Public Section. If you terminate your account, we will delete all personal data attributed to your account. If you wish to terminate your account, please follow the instructions in FAQ/help. EUniTa/GU will not, at any time, transmit your personal data to any third parties. 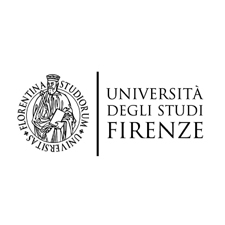 This website ('Site') was created by the EU Erasmus+ Project European University Tandem ('EUniTa'), coordinated by Johann-Wolfgang-Goethe Universität Frankfurt ('GU'), Theodor-W.-Adorno-Platz 1, 60323 Frankfurt am Main, Germany. EUniTa offers language learning by bringing together registered users in an eTandem (learning tandem of two) in an automatized matching process. 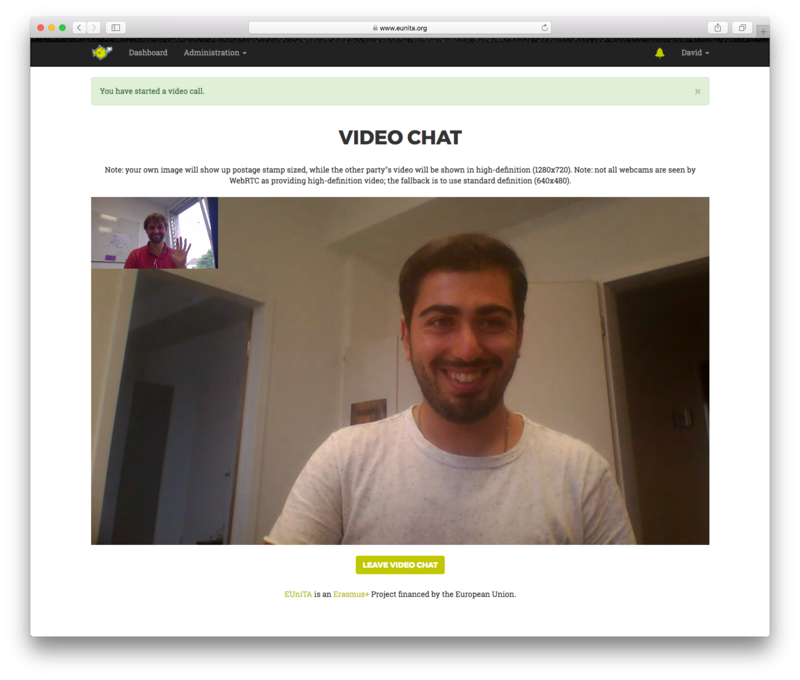 EUniTa further provides text and video chat to support the eTandem and offers learning material and support. EUniTa is open to all students and staff members of the affiliated institutions (“Members”). To register, an email address with the extension of the member institution is mandatory. 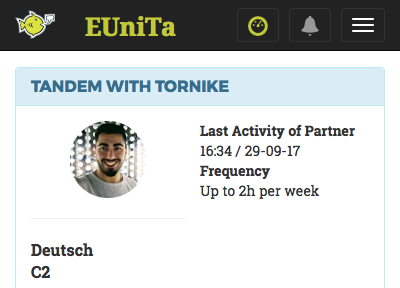 EUniTa/GU offers you to register for free and to participate in the Tandem Section of the Site. In order to access the Tandem Section, you will have to register for free and provide your full name and e-mail address in order to create an account. You will be prompted to confirm your registration in an e-mail to your e-mail account. 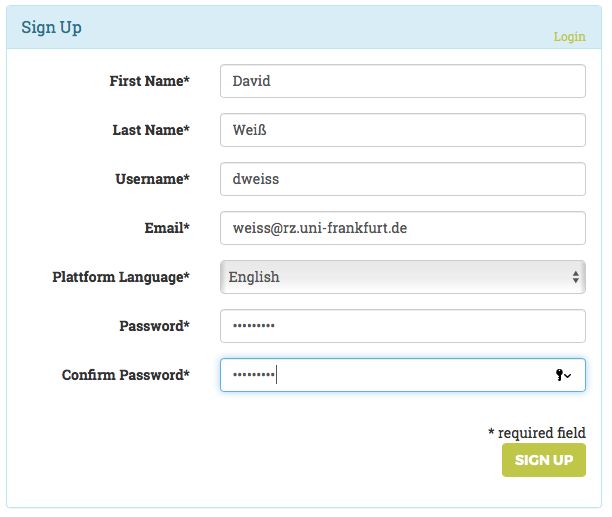 EUniTa/GU will not verify your name, but the name provided when registering will appear on language certificates. EUniTa/GU offers two different certificates: The basic certificate will be issued after completion of the five basic Learning Units within the certificate section. The comprehensive certificate will be issued after completion of all Learning Units within the certificate section. To complete the Learning Units, you must master an individual test for the respective Learning Units within the certificate section. If you are a registered user, your progress (tests you have taken after a Learning Unit) will be saved in a database. If the basic Learning Units have been completed within the certificate section, the basic certificate will be unlocked and can be downloaded and printed out by you. The comprehensive certificate will be unlocked if you have completed all Learning Units within the certificate section. Unless indicated otherwise below or on the Site, EUniTa/GU hereby grants you a non-exclusive, worldwide, irrevocable and perpetual licence to use the contents of this site (with regard to LernBar player, a separate licence applies, see below), in particular texts, graphics, videos and animations, for personal and non-commercial purposes under CC licence 4.0 (see https://creativecommons.org/licenses/by-nc-nd/4.0/legalcode) licence terms non-commercial, attribution, no change, share alike). 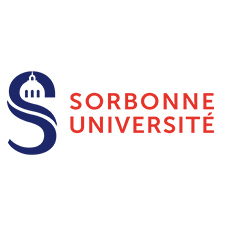 This includes the right to make available the contents of this Site for personal and non-commercial uses, in particular educational uses, provided that you include the attribution notice „EU Non-Proliferation Consortium eLearning and name the author(s) of the particular material. Changes to the content are prohibited and representations may be used only in connection with the corresponding text. For the avoidance of doubt, the Certificates obtained is not subject to the CC licence, and you are not allowed to use the content of this Site to make a knock-off of the Site. Certain content may be designated as third party consent. In such case, you may only use such content in connection with your visit to the Site, and you are invited to obtain a licence from such third party yourself if you want to use such content independent from your visit to the Site. Some features on this Site were generated with the software LernBar and will be displayed in the LernBar Player. With regard to LernBar, the following copyright notice applies: © Professorship for Computer Graphics and studiumdigitale Goethe-University Frankfurt am Main All rights reserved. The LernBar Player is a part of the authoring tool LernBar Release 4.3. 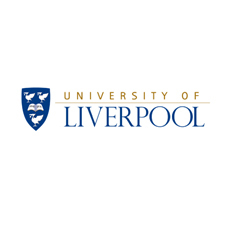 Please visit the LernBar-Portal for further information and project descriptions. This software is copyright protected. This applies for the LernBar Player (navigation bar and tile menu) and for the content of the system. 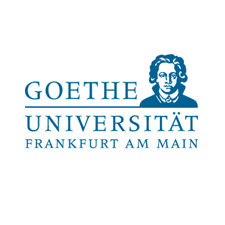 Johann Wolfgang Goethe-University Frankfurt/M.– studiumdigitale and the Professorship of Computer Graphics hold the rights to the LernBar Player. The LernBar Player may be used in the present form for an unlimited period of time in an unrestricted manner. Recompilation or alteration of any part, for example the design, is not allowed without prior written consent of the holder of rights. The holder of rights of the content, if given by the author of this lesson unit, appears in the tile 'Copyright'. The usage rights listed there shall apply. It is not permitted to delete this copyright notice. Disclaimer: This software is part of an Erasmus+ Project. We cannot guarantee the complete functionality for specific purposes. No liability is assumed for damages of any kind incurred while using this software. The use of this module is entirely at your own risk. We are constantly striving to provide accurate and current information. However, we can assume no warranty for the correctness, accuracy and completeness of the information provided herein or the information that is referenced. In particular, information that was current at the time of its publication, can become outdated and obsolete. Any access to the information contained herein or the information that is referenced, as well as its use is at the user's own responsibility. Liability claims are excluded, against us as a website operator, which refer to damages of material or immaterial nature caused by the use or non-use of information presented on this Site or through the use of incorrect or imperfect permanent information, provided by us, except in case of intentional or grossly negligent behaviour. Under the same conditions, EUniTa/GU assumes no liability for damages due to loss of data or due to any technical malfunctions of your computer in connection with your use of this Site, for example, by infection with viruses or any other technological material. EUniTa/GU also disclaims all liability in case the information provided, its dissemination or use is prohibited by the laws of the country from which you access the Site. You are responsible for determining whether the use of this Site, or any dissemination of the content therein, exposes you to criminal liability or political persecution. The Site may contain hyperlink text references ('Links') to other sites that are offered by third parties. These Links are made solely for the purpose of information and as an additional service for users. Only the respective operator is responsible for all content and statements on linked Internet sites. Therefore, EUniTa/GU cannot guarantee for the correctness and accuracy or any other aspect of third party sites. The EU offers a complaint system via online dispute resolution for consumers (ODR): https://ec.europa.eu/consumers/odr/. We are not participating and not obliged to participate in a dispute resolution before a consumer dispute resolution panel.